Public sector integrity is crucial for sustained socioeconomic development. 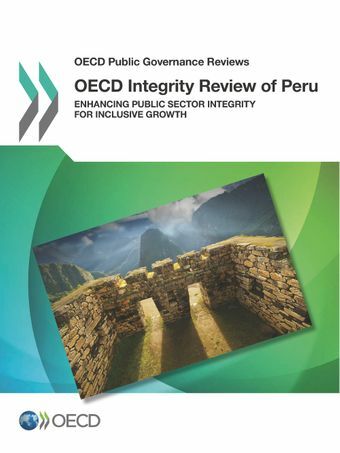 This report assesses Peru's integrity system at both the central and subnational levels of government. It provides a set of recommendations to strengthen and consolidate this system, instil a culture of integrity, and ensure accountability through control and enforcement. Beyond reviewing the institutional arrangement of the system, the report analyses the policies and practices related to political finance, the promotion of public ethics and the management of conflict of interests, lobbying, whistleblower protection, internal control and risk management, as well as the disciplinary regime and the role of the criminal justice system in containing corruption. The President of the High-Level Commission Against Corruption (CAN), Pablo Sánchez Velarde, and the President of the Council of Ministers, Fernando Zavala received the report. (Video in Spanish).